So How Much Should You Budget For Inbound Marketing? 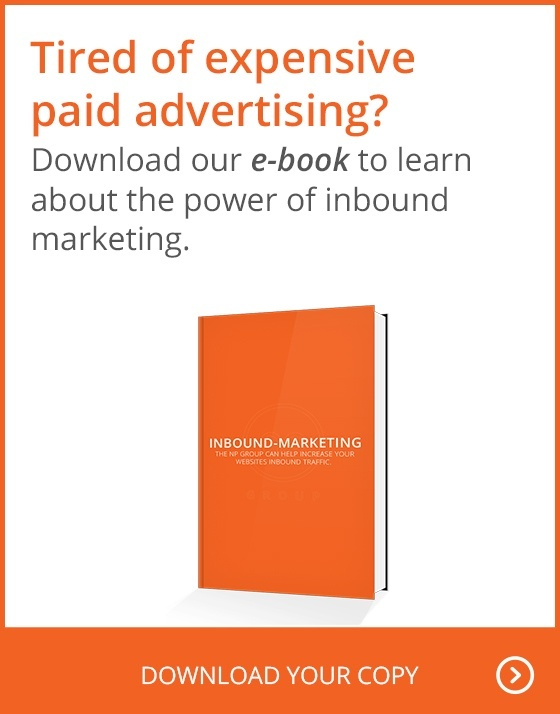 NP GroupBlogMarketingSo How Much Should You Budget For Inbound Marketing? You don’t have to go much farther than this very blog to learn about the countless benefits of inbound marketing. The most appealing of those benefits for many is the fact that it can cost your business significantly less than more traditional marketing methods, including print and paid advertising. But that’s not to say it’s totally free. There are some costs involved, and you’ll have a hard time truly identifying your return on investment (ROI) down the line if you don’t know what that investment even was. By defining your inbound marketing budget early (i.e. before you start building your campaigns), you can not only give yourself realistic parameters to work within, but also give yourself a better idea of the goals you’d like to achieve. Today, we’ll discuss how much you should spend on inbound marketing, but we will also discuss the finer points of your inbound budget—namely, how to craft a proper inbound marketing budget, and how to calculate your ROI. How much should your inbound marketing budget be? 10% of your marketing budget to inbound marketing services if your company makes over $5 million in revenue. A recent study conducted by WebStrategies demonstrates that budgets for digital marketing have gone up, by orders of magnitude, since digital marketing first became viable in 2011. Much of the digital marketing spend is concentrated on mobile marketing (38%), social media marketing (26%), and display advertising (17%). All three of these viable models are forms of inbound marketing—that is to say, they generate consumer-based leads for the business. It bears noting, however, that a lead is not the same thing as a conversion. We will discuss the finer points of turning a lead into a conversion later in this blog. Hubspot is proving to be a fine platform for many digital marketers to engage in inbound marketing—especially in terms of cost-effectiveness. While your company may not find HubSpot's automated system to be a viable option, it bears noting that there's a great return on investment (ROI) if you do decide to use HubSpot's services. In fact, they have a whole page on their website dedicated to findings about ROI in relation to their software. But really, you don't need to use automated systems yourself to experience the benefits of inbound marketing. Let's take a look at the case study found on the Tender Rose Agency. Located in San Francisco, the Tender Rose is a home care agency that wanted to increase SQL's (sales qualified leads) and work on a B2C (business to consumer) level. By using proper inbound marketing techniques—and diverting some of their marketing budget to working with an inbound marketing agency—they saw an exponential increase in their target audience response after a period of about 12 months. So how do you craft a proper inbound marketing budget? How much will the labor cost? There is only so much of inbound marketing that you can automate—at some point, the leads have to be properly nurtured in order to be converted into a customer (remember: an inbound marketing campaign is not considered successful because of the number of leads it generates, but because of the number of conversions it yields). A company that generates a lot of revenue, naturally, has a lot of customers...and there's no way you can do it all yourself, so you have to hire employees. How much will certain parts of the campaign cost? Social media (i.e., Twitter, Facebook, Instagram) is free—however, there is a cost to advertise on social media platforms (i.e., Twitter ads, Facebook ads, and the newly-introduced Instagram ads). In addition, there are other marketing techniques that require a significant investment of money—including PPC (pay-per-click) campaigns—for which you have to allocate appropriate funds. Don't take a look at what your contemporaries in your field are selling—concentrate on what you can afford. It makes no sense to "stop and start" a campaign because you ran out of funds—in fact, it can work against you in the long run—and it's financially unfeasible to have your bottom line be affected negatively because you over-spent on a marketing campaign of any kind, but most especially an inbound marketing campaign. What are the basics of a proper inbound marketing campaign? Don't be disruptive with your campaign. You have to be seamless in your integration—present your customers with the facts, and have them make informed decisions about your products. Today's consumer is a savvy one, and they know when they're being marketed to...which is not necessarily a good thing if you’re being obnoxious about it. Remember the importance of your content. Content marketing is one of the most organic ways to generate leads from an inbound marketing perspective—it's a way to rank on the first page of Google; when combined with a PPC campaign and SEO rich media, you'll have a perfect inbound marketing experience. Further to that end, it's not just about content. Code is just as important to the success of your campaign. Make sure all of your sites are compatible across various platforms, and if you can have a responsive website so that it's translatable across a mobile platform (which is where more and more marketers are shifting their focus), that's even better. Calls to action are invaluable in any inbound marketing campaign. People shouldn't have to wander around on your site to find what they need—they should go to your site for a specific purpose, and become a customer off of that purpose. A great way to help facilitate a call to action is via a landing page, which is a place where a customer will land that requires their information to be inputted so that a sales rep can follow up with them. Another way to incentivize "clicks" to become "conversions" is by offering them something for free—to that end, then, e-books are quickly becoming popular. This is a great, inexpensive way to establish yourself as an authority in your field and provide fresh content to hungry readers. Finally, and perhaps most importantly, make sure your marketing team's skill set matches your marketing needs. You will need to hire a team that's tech savvy, but also knowledgeable about your specific industry, and has the wherewithal to "super-charge" your campaign as needed (such as supplementing content marketing with SEO optimization and PPC campaigns). Working with #TeamNPG means you have a whole army of creative support at your side—experienced, dedicated professionals working to achieve your vision. Our goal is simple: to make you a superstar. For more information about our services, please contact us today.